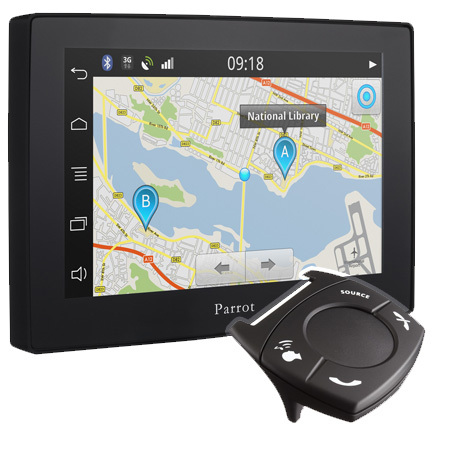 Parrot Asteroid Tablet is the complete solution gathering Bluetooth Hands-free System, music connectivity and connected apps. 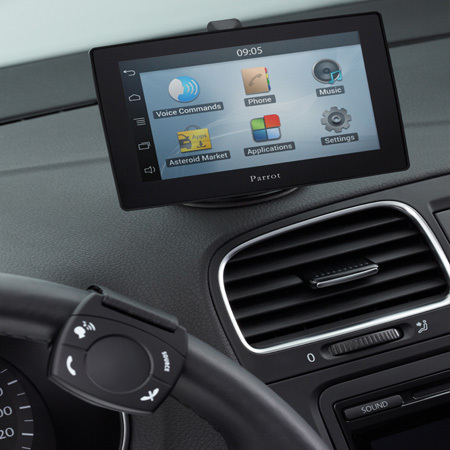 The large and thin 5” multi-Touch screen displays all information coming from useful applications while the wireless and capacitive remote control gives access to main functions. The ASTEROID Tablet connects to the Internet on the move in many different ways. Use your compatible Smartphone, using a 3G/4G USB dongle or Wi-Fi. 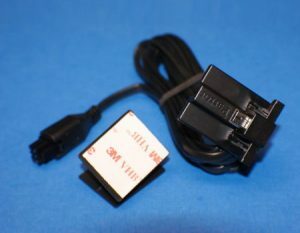 Works with all Smartphone operating systems: Android, iOS, RIM, Symbian, Bada 3G/4G dongle, or hook up to a Wi-Fi access point. In combination with your navigational Apps, The Asteroid Tablet will take you on the optimal path to your destination. 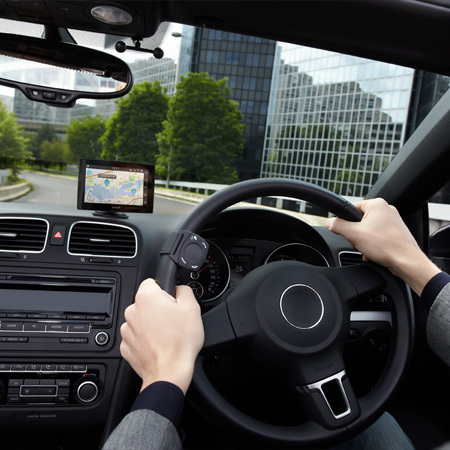 It uses numerous types of satellite navigation software to cater for every ones needs. 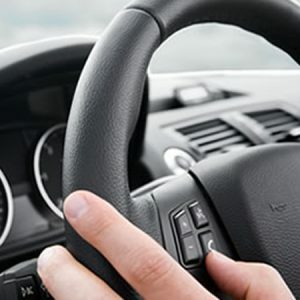 Push the dedicated button on the wireless remote control, simply say the artists name or even their album, then sit back and enjoy while you drive to work, dropping of the kids or on a weekend drive. 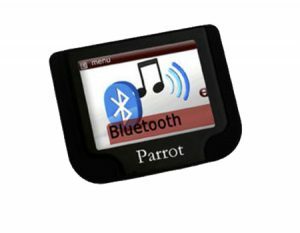 Access all your music, via iPod/iTouch or iPhones, SD Card, Bluetooth music streaming, Aux in, USB and even from the specially designed music apps. Either using Deezer or internet radio stations to simply music on demand. 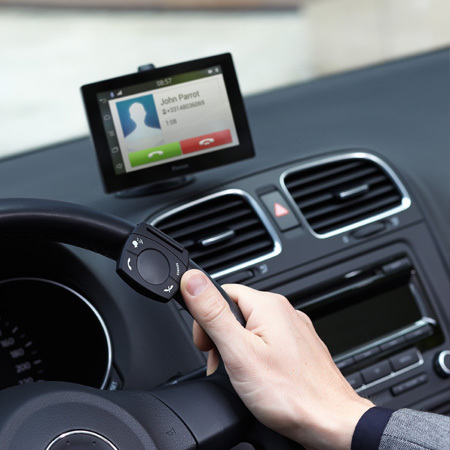 Automatically synchronise with your entire phonebook, initiate calls using advanced voice recognition. The functions are easy to recognise and the small number of buttons mean that controls are simple and accessible at any time. 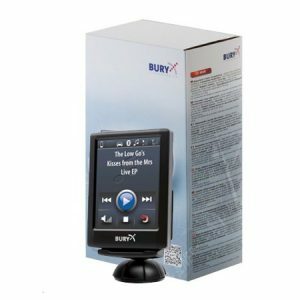 The ASTEROID Tablet has an efficient and easy to use multi-touch 5” capacitive display, and also has the option to manage its features from an optimised wireless remote control.